The Domo Appstore allows you to tailor our industry-leading business intelligence platform to the specific set of challenges facing your company. With roughly 1,000 unique applications available for purchase, the Appstore provides all the tools you need to ask and answer your most pressing business questions. In our App of the Week series, we’re looking at just a few of the many apps our customers are using to get more out of their data. Today, we’ll be discussing Campaign Scorecard, a powerful piece of software that allows you to better understand how each of your digital campaigns are (or are not) helping you achieve your marketing goals. Campaign Scorecard helps you evaluate the performance of every single digital activation. At any given time, the modern marketer is managing tens—sometimes hundreds—of digital campaigns across a wide variety of platforms, devices and channels. With so much going on, it can be extremely difficult to separate the campaigns that are responsible for driving business results from those that are failing to deliver. Campaign Scorecard solves this problem by allowing you to compare all of your digital activations inside a single, interactive user interface. 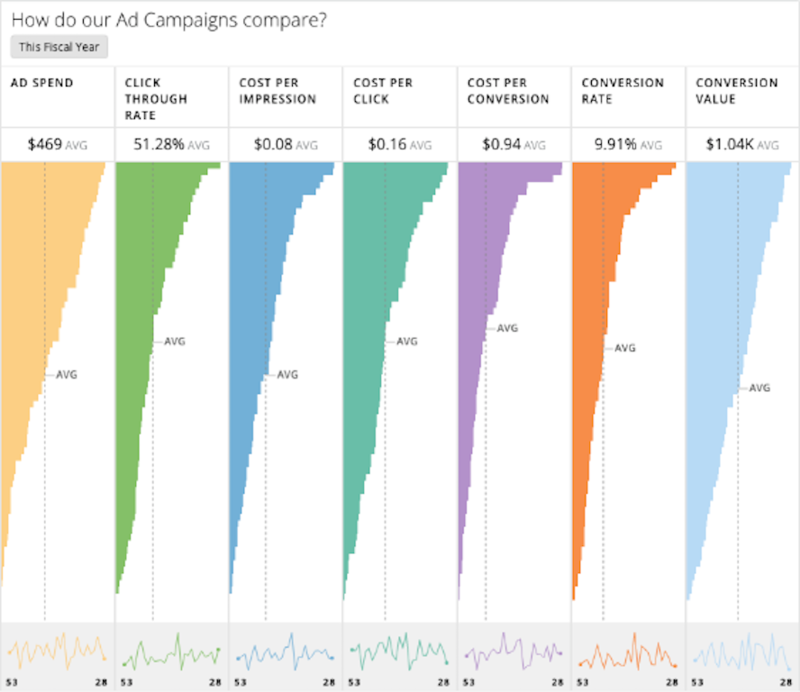 Using the app’s visualization tools, you can sort your campaigns by every one of your KPIs, allowing you to see how each campaign measures up in terms of metrics like cost-per-impression, cost-per-click and conversion rate. This information can be used to allocate additional spend to your most successful campaigns, as well as to make strategic adjustments to the ones that aren’t quite performing as you’d hoped. Find the right campaign mix for your specific marketing targets. 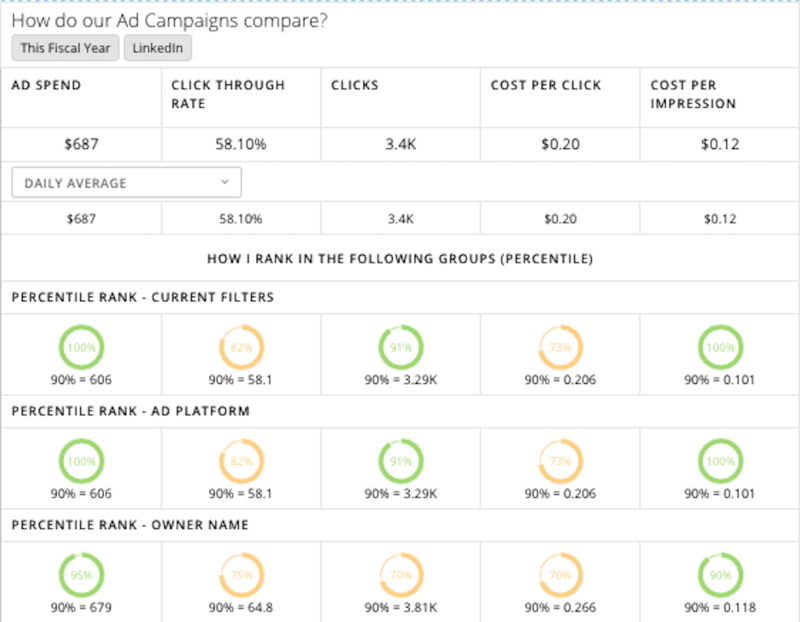 In addition to helping you spend more wisely, Campaign Scorecard allows you to dive into your data to build more effective campaigns. For instance, if you notice that campaigns using a certain piece of creative are generating strong cost-per-click numbers, you could try swapping that message into other campaigns that need an engagement boost. By helping you assess what is and isn’t working, the app creates an environment where your campaigns essentially learn from one another to become smarter over time. Finally, Campaign Scorecard helps you evaluate your campaigns not as independent and unrelated entities, but rather as a holistic suite of tools that are working together to hit all of your KPIs. As an example, you might see a social media campaign delivering poor conversion rates that would be unacceptable in a vacuum. But if another activation is doing a great job of generating sales, you might decide to keep running the social campaign as an awareness tool due to its excellent cost-per-impression metrics. Together, Campaign Scorecard’s data sorting and visualization features allow you to truly understand the relative strengths and weaknesses of every one of your campaigns. With this knowledge in hand, you’ll be well on your way to building a balanced digital portfolio capable of achieving a variety of marketing goals.